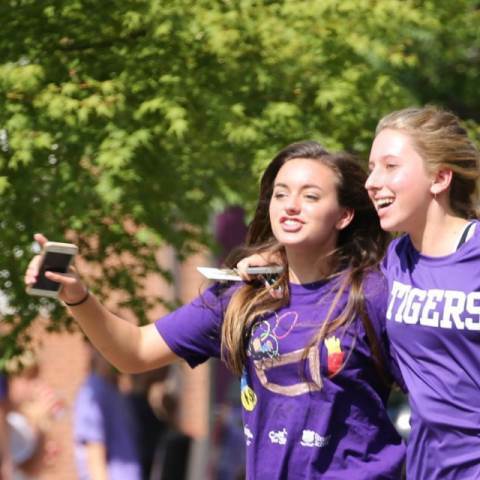 Darlington's Upper School is where high-achieving, driven high school students like you prepare to thrive in college and life. We value you as a whole person. When you become a boarding student at Darlington, you'll see yourself growing to your full potential. Get the details on tuition at Darlington and see how a boarding school education can enrich your life. Our financial aid program and other affordability options can help put a Darlington education within reach. See what boarding is like and picture yourself living and learning at Darlington School. Get detailed answers to common questions about what boarding life is like at Darlington. Our post-graduate year lets you continue your Darlington journey before starting college. Contact us for more details on this unique opportunity. Applying to Darlington School is easy. Get detailed information about Darlington's boarding school program for grades 9-12. Request in-depth information about admission, academics, boarding life and all things related to Darlington. Fill out and submit an application for admission to Darlington. Complete an application today and set your future into motion.